Are you thinking about uploading some of your videos and storing them on the cloud? Not only can that help save space on your physical hard drive, but it will also make it a lot easier to share – especially nowadays that many cloud services support direct video streaming. That being said if you want to store videos on the cloud, you may have to convert them first. Not only can converting your videos help ensure that you don’t waste too much of the available cloud storage space, but in some cases it will be necessary if you want to be able to stream your videos once they’re on the cloud. If you haven’t converted videos in the past, or simply want to know the fastest and easiest way to do so then Movavi Video Converter should be your first resort. It can convert MP4 to MOV, AVI to WMV, VOB to FLV or any other formats you require – so you should definitely be able to convert videos to the format that a particular cloud storage service may require. Part of the reason why Movavi Video Converter is so good at what it does is the fact that it makes converting videos as straightforward as possible. To get started you just need to add the video, choose a format, and click the ‘Convert’ button. If you want you can even get around having to choose a specific format by using one of the presets to automatically utilize the best format and video settings for a particular device or platform. In addition to all of that, Movavi Video Converter also comes with several other features that extend its capabilities even further. It can be used to convert image and audio files, extract audio tracks from videos, create animated GIFs, or grab screenshots from individual video frames. 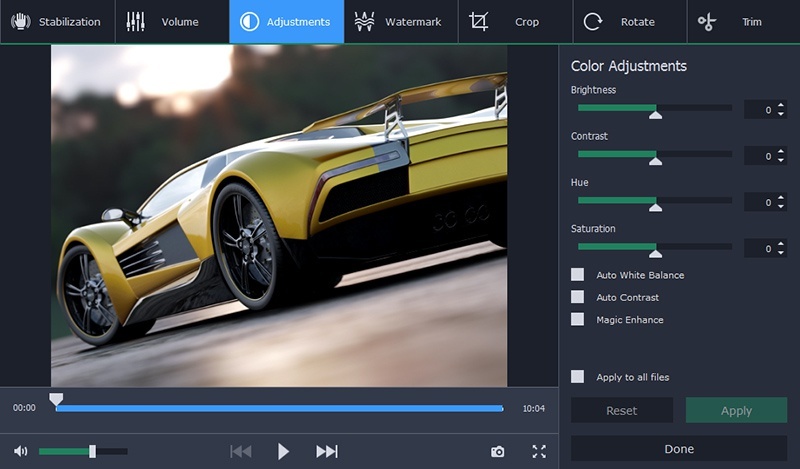 Also it can help you to tweak and improve your videos by enhancing their quality,cutting and joining video segments, adding customizable text fields or cropping and rotating the video. With all these features at your fingertips it is easy to see how Movavi Video Converter will help you not only convert your video to the right format for cloud storage services – but also let you prepare it in other ways too. The sheer scope of its features makes it a tremendously useful yet lightweight utility that is worth having up your sleeve.